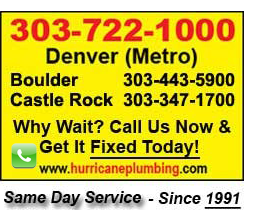 Relax – Don’t Panic – Give us a call anytime and we will get your sewer flowing right away. We can provide one hour emergency service or appointment in a two hour window that fits your needs. We are the sewer experts. Have you ever flushed the toilet and had it come up in the floor drain or other drain? Each of our trucks carries several different mechanical and electric pieces of equipment to make your sewer functioning properly. 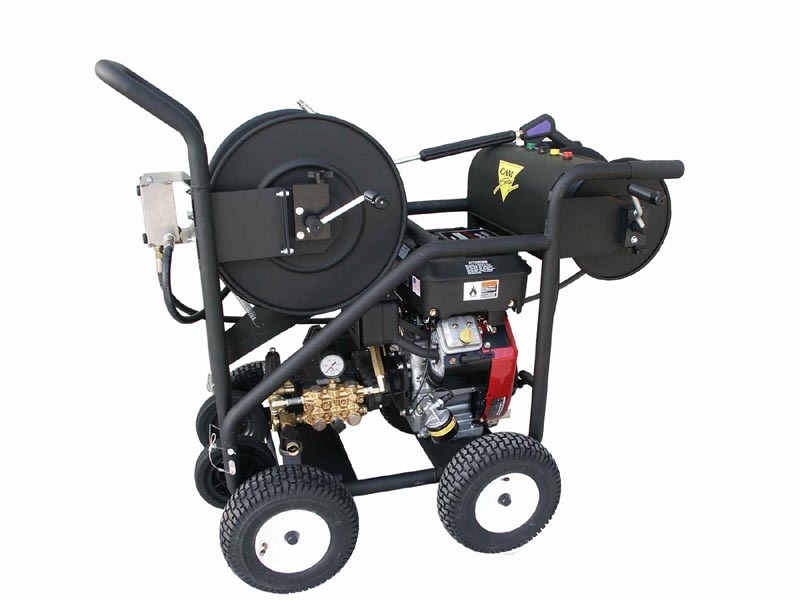 We use powerful main line cleaning equipment(the strongest that is available.) 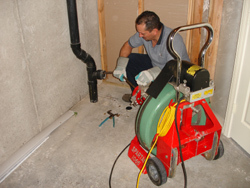 These machines are 3/4 horsepower and use 3/4″ cable so that we can remove any hard and soft blockages in the line. If you have a 6″ line we try to use a 6″ blade and if you have a 4″ line we try to use a 4″ blade to clear the line. We try to use the same blade size as the line size because this is the proper method to clear your main line. After the line has been cleared using a mechanical cable method, you have the option of “hydro-scrubbing” the line with very high pressure water to remove soft build-up in the pipe (sludge, debris, grease, grease-core, soap, etc.) and flush it out the sewer at the same time. Sewer service line backups can be very disruptive to the efficient operation of a business or household. If your situation requires it, we can repair or replace older sewer pipes with new schedule 40 PVC pipe to improve your home or business’s overall performance. We can schedule routine cleaning and maintenance contracts that will improve your overall sewer performance and help prevent further back-ups.